Join us this Spring in Carbondale, Illinois for a unique event honoring the work, philosophy and influence of Buckminster Fuller as it pertains to Southern Illinois University (SIU) Carbondale and the World. The Fuller Future Festival will include a wide range of events, opportunities and experiences. Honoring the comprehensive approach that Bucky championed, the festival will embody many disciplines. Events will include presentations, panels, workshops, films, performances, exhibits and opportunities to engage in collaborative solution building. The festival will be an opportunity to bring together artists, poets, designers, feminists, filmmakers, futurists, musicians, environmentalists, innovators, entrepreneurs, architects, engineers and all others interested in the legacy of Buckminster Fuller and the forwarding of his ideas for a sustainable future. 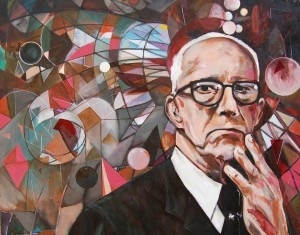 For more information on Buckminster Fuller please visit the Buckminster Fuller Institute website.